MPSC Result 2019: Below are the latest results published by MPSC - Maharashtra Public Service Commission (MPSC) / www.mpsc.gov.in. The recent result announced by the organization is Police Sub Inspector Main Exam 2016 Result 2019. MPSC Police Sub Inspector Main Exam 2016 Result 2019: Maharashtra Public Service Commission (MPSC) has announced the Result on 12 Apr 2019 for the exam . MPSC Town Planner Result 2019: Maharashtra Public Service Commission (MPSC) has announced the Result on 02 Apr 2019 for MPSC Town Planner Exam 2019 . MPSC Maharashtra Civil Engineering Services Main Exam Result 2019: Maharashtra Public Service Commission (MPSC) has announced the Result on 22 Mar 2019 for MPSC Maharashtra Civil Engineering Services Main Exam 2019 . MPSC ASO Mains 2018 Final Result 2019: Maharashtra Public Service Commission (MPSC) has announced the Result on 19 Mar 2019 for MPSC ASO Mains 2018 Exam . MPSC State Tax Inspector Result 2019: Maharashtra Public Service Commission (MPSC) has announced the Result on 18 Mar 2019 for MPSC State Tax Inspector Exam 2019 . MPSC Maharashtra Subordinate Services Main Exam 2018 Result 2019: Maharashtra Public Service Commission (MPSC) has announced the Result on 18 Mar 2019 for MPSC Maharashtra Subordinate Services Main Exam 2018 . 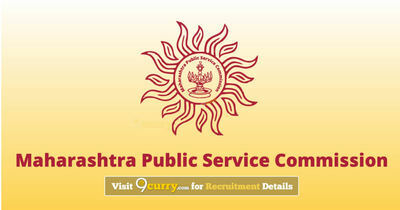 MPSC Assistant Section Officer Main Wait List 2019: Maharashtra Public Service Commission (MPSC) has announced the Result on 18 Mar 2019 for Maharashtra Public Service Commission Assistant Section Officer Exam 2019 . MPSC PSI Main 2017 Final Result 2019: Maharashtra Public Service Commission (MPSC) has announced the Result on 08 Mar 2019 for Maharashtra Public Service Commission PSI Main 2017 Exam . MPSC Tax Assistant Main Exam 2017 Result 2019: Maharashtra Public Service Commission (MPSC) has announced the Result on 02 Mar 2019 for Maharashtra Public Service Commission Tax Assistant Exam 2019 . MPSC Assistant Director (Tech) Result 2019: Maharashtra Public Service Commission (MPSC) has announced the Result on 22 Feb 2019 for the exam . MPSC State Services Main Exam 2018 Result 2019: Maharashtra Public Service Commission (MPSC) has announced the Result on 14 Feb 2019 for the exam . MPSC Maharashtra Electrical Engineering Services Main Exam 2018 Result: Maharashtra Public Service Commission (MPSC) has announced the Result on 08 Feb 2019 for Maharashtra Public Service Commission Maharashtra Electrical Engineering Services Main Exam 2018 . MPSC Maharashtra Agriculture Services Main Exam 2018 Result 2019: Maharashtra Public Service Commission (MPSC) has announced the Result on 08 Feb 2019 for Maharashtra Agriculture Services Main Exam 2018 . MPSC Maharashtra Forest Services Main Exam 2018 Result 2019: Maharashtra Public Service Commission (MPSC) has announced the Result on 08 Feb 2019 for Maharashtra Forest Services Main Exam 2018 . MPSC Maharashtra Engineering Services (Civil) Main Exam 2017 Result 2019: Maharashtra Public Service Commission (MPSC) has announced the Result on 30 Jan 2019 for MPSC Maharashtra Engineering Services (Civil) Main Exam 2017 . MPSC State Services Main Examination 2018 Result: Maharashtra Public Service Commission (MPSC) has announced the Result on 17 Dec 2018 for MPSC State Services Main Exam 2018 . MPSC Sub Inspector Result 2018: Maharashtra Public Service Commission (MPSC) has announced the Result on 26 Nov 2018 for MPSC Sub Inspector Exam 2018 . MPSC Assistant Section Officer Revised Result 2018: Maharashtra Public Service Commission (MPSC) has announced the Result on 02 Nov 2018 for MPSC Assistant Section Officer Revised Exam 2018 . MPSC Assistant Chemical Analyser Result 2018: Maharashtra Public Service Commission (MPSC) has announced the Result on 31 Oct 2018 for MPSC Assistant Chemical Analyser Exam . MPSC Assistant Town Planner Result 2018: Maharashtra Public Service Commission (MPSC) has announced the Result on 15 Oct 2018 for the exam .